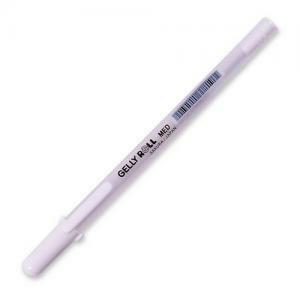 Select Gelly Roll, the gel ink pen that was invented to make writing and self expression effortless. The creamy ink and incredible array of colors provide plenty of favorite "flavors" for letting your thoughts flow onto paper. Handwriting is as unique as a fingerprint. Sign your name, doodle, express your artful self, or celebrate the thrills and document the spills of your life. Leave a mark that will last a lifetime.